LA County hosts one of the largest library systems in the United States, with 87 library facilities serving 3.4 million people. Patrick’s efforts to eliminate barriers and increase access to services for her residents have had a huge impact. 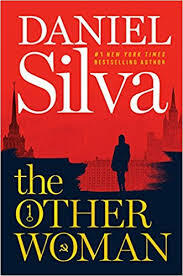 Her transformative work at the library, as well as in her previous position as director of Florida’s Broward County Library, and her strategic approach to revolutionizing what we mean by inclusion in libraries earned her recognition as LJ’s 2019 Librarian of the Year, generously supported by Baker & Taylor. Patrick introduced the iCount training initiative to LA County staff to ensure that staff members consciously design services and programs in each branch that address the needs of the diverse communities they serve. In iCount, equity means more than universal access. It creates deliberate, intentional efforts to ensure that all community members get the resources they need, knowing those needs differ as a result of race, ethnicity, age, religion, sexual orientation, gender, socioeconomic status, physical ability, nationality, legal status, and more. In the past two years, the entire senior staff of LA County have completed iCount. “There is a long way to go to being culturally competent, but at least we have opened the door. This first year we focused on young men of color as part of the Obama administration’s ‘My Brother’s Keeper’ program and on LGBTQ youth. The second year we focused on older adults and differently abled and differently bodied people,” reports Patrick. “Of course, we had some resistance. People don’t want change. We have done a considerable amount of changing in the past three years,” says Patrick. As part of her huge remit, Patrick is responsible for an annual operating budget of $165 million. When Patrick arrived, the library was facing a deficit. Yet in the short two and a half years of her management, she has raised more than $30 million in grants, expanded mobile programming, and adjusted staffing to expand service hours across 75 of the system’s locations at no additional cost to taxpayers, largely through administrative reorganization. She has built partnerships with public and private organizations to provide more services with little impact on the budget. Patrick tells LJ she is grateful for the support of the Los Angeles County Board of Supervisors, CEO, and departmental collaborations as key components to the success of the library’s efforts. Bringing the LA County system into the digital age is another Patrick achievement. When Patrick came on board, public access computers were slow and hadn’t been updated for ten years; bandwidth speed wasn’t meeting the growing need of customers. 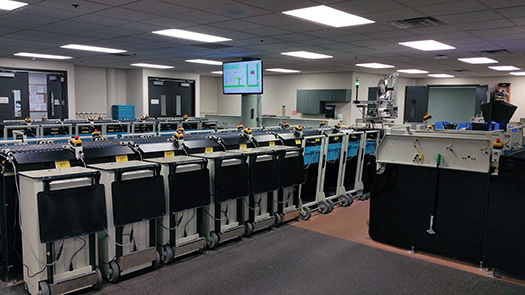 The branches now employ smart technology, wireless printing, updated operating systems, and thermal counters. Patrick was instrumental in communicating the need to increase bandwidth to the Internal Services Department of L.A. County. 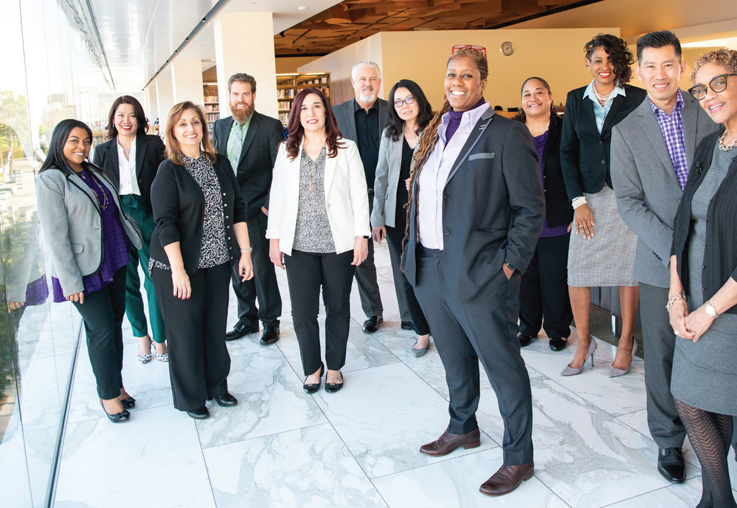 Through her leadership, LA County Library will connect to CENIC, which will upgrade all locations to one gigabyte, making LA County the largest library system in California to implement such augmented broadband capabilities. Patrick was also critical in forming a Digital Alliance with Microsoft, which included a grant of $3.3 million to upgrade 2,200 public computers at all library locations to Windows 10, plus two DigiCamps at the Compton and Lennox branches. In addition to getting up-to-date, under Patrick, LA County has also gotten the word out. 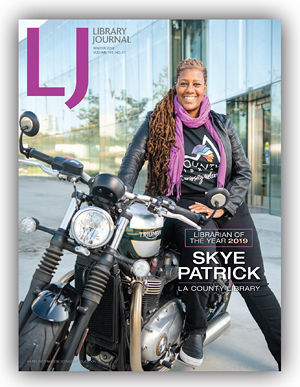 LA County’s new marketing team has launched several campaigns, undergone a rebranding, complete with new name and “Curiosity Welcomed” slogan, and redeveloped the library’s website (followed by a new mobile app) for increased engagement and accessibility, garnering LJ’s 2018 Marketer of the Year award in the process. Once kids are in school, the library continues its outreach, especially to the most vulnerable populations. LA County plans to deliver book kiosks to transition age youth (TAY) homes that provide educational services geared to LGBTQ and foster youths. LA County’s goal is to send staff to provide programming for the residents not just to drop off materials. The library also emphasizes foster youth in its participation in Gale Cengage’s Career Online High School, which enables adolescents and adults to earn their high school diploma through the library. LA County holds 200 slots for foster youth, who generally have lower graduation rates. Reading STARS, an LA County summer program, engages older adults willing to tutor young adults. LA County will pay stipends to the older volunteers through a grant from the County Workforce Development, Aging, and Community Services Department. While the stipends are not huge, they keep participants motivated. LA County staff realized money could be a barrier as well as an incentive: many students were without library cards because they owed fines. An amnesty brought roughly $500,000 worth of materials—and more important, 18,062 previous blocked readers—back to the library. The Great Read Away cleared another 13,169. Patrick is the first African American and the first openly LGBTQ+ person to serve as director of the LA County Library. She was also the second African American director and first openly LGBTQ+ and first woman director of the Broward County Library, her previous position, as well as the first woman to hold that role. 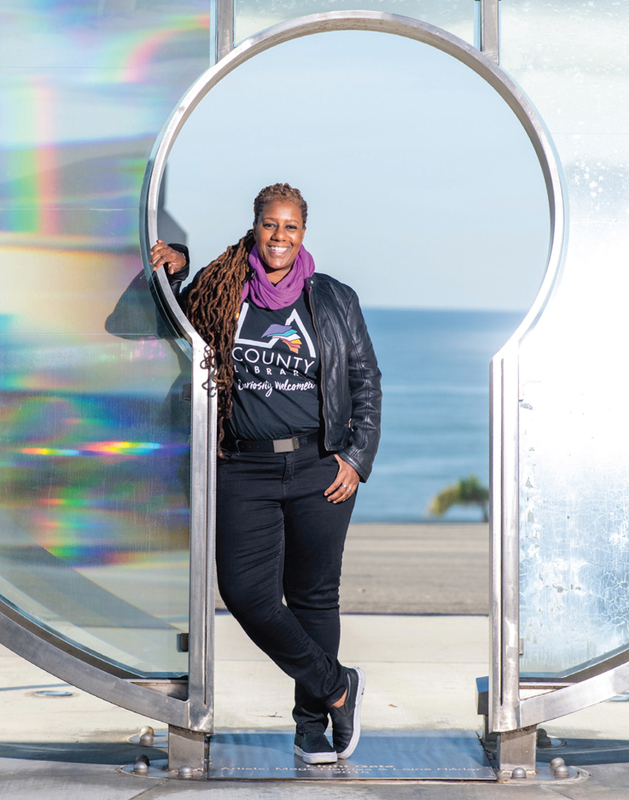 There, she oversaw the reopening of the flagship Main Library after its three-year closure and introduced STEAM (science, technology, engineering, art, and mathematics) programming through Creation Station and a small business incubator (Creation Station Business). Destination Fridays was an interactive after-hours event at Broward’s African American Research Library and Cultural Center. Patrick’s successes resulted in huge positive reaction and garnered Broward the Florida Library Association’s 2015 Florida Library of the Year. Prior to Broward, Patrick was assistant director of New York City’s Queens Library. 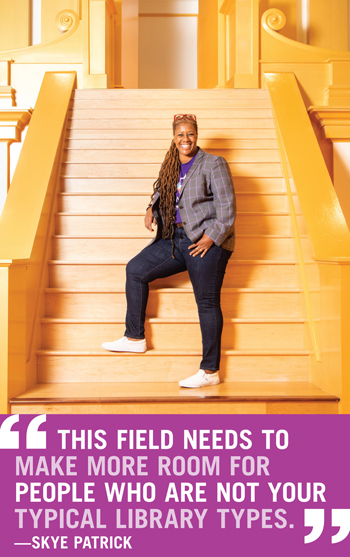 Before that she held multiple positions at the San Francisco Public Library (SFPL), for which she and her team created an entirely new web presence. She worked with SFPL directors Susan Hildreth, now Interim Director, Sonoma County Library, and Luis Herrera, who recently retired (and received this same honor in 2012). Exposure to college students made Patrick see higher education as an option. “I first realized that college might be available to me when I went to the city pool near my elementary school. All the lifeguards were students at Michigan State. It was the first time that I understood that there was important life beyond my neighborhood. When I got a little bit older, I would take the bus out to Michigan State in East Lansing. I had dreams of going to college there, but I was too young.” Later she enrolled at Northern Michigan University in Marquette. Postcollege, Patrick was working with a group that was asked to do programming for Baltimore’s Enoch Pratt Free Library. One of the staff asked if she had ever considered working in a library. “I was very poor, so the idea of a full-time job was very appealing. I interviewed for a job and since I just had a bachelor’s degree, the position available was a library associate. I worked for Carla Hayden, the Pratt director who is now Librarian of Congress [and the 1995 LJ Librarian of the Year]. One day she called me to her office. I thought I was in trouble. ‘Why would the director call me?’ I thought. ‘I’m a nobody.’ She asked if I would consider going to graduate school. I had no idea how she even knew who I was. I said yes,” Patrick recalls. 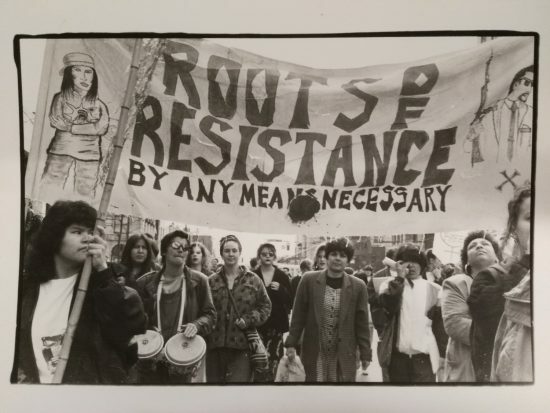 She went on to earn a master’s degree in library and information science at the University of Pittsburgh, where she worked for Toni Bearman, the dean. Despite the presence of these figures, says Patrick, “I have never had an active mentor. I have done it on my own. I have learned a lot from leaders, directors, and other people, but I’ve never had an active mentor/mentee relationship. I was not the best student either,” Patrick admits. She doesn’t consider that a detriment. “I believe the best student is not always the most promising student. Academic achievement and following directions should not be the only measures. There are many ways people absorb information and give back to communities. My passion is real. I just don’t fit the archetype of the librarian.” Instead, she is establishing a new archetype, for new kinds of librarians to follow in her footsteps. 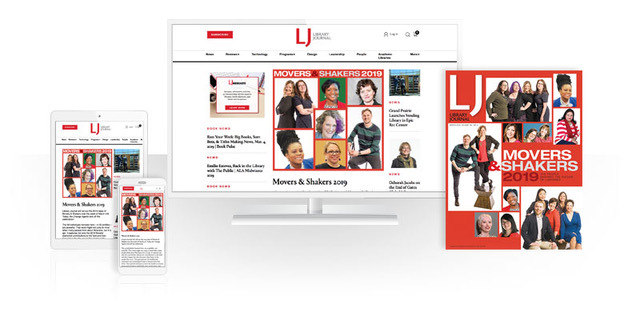 John N. Berry III (jberry@mediasourceinc.com) is Editor-at-Large, LJ. Berry joined the magazine in 1964 as Assistant Editor, becoming editor-in-Chief in 1969 and serving in that role until 2006. Skye Patrick is the real deal. Genuine, compassionate, challenging and a terrific leader. Skye has earned this award through hard work and fairness. I am gratified to have had the opportunity to work with her and her superlative Executive Team. Perhaps this will help with recruitement for the 25 LA County libraries that are without a children's services librarian, some for as long as two years. My library couldn't be more different than the ones that Ms. Patrick leads (small and rural). But, she is so inspiring to me anyway! I want to join her fan club and start with hanging a poster of the LJ cover in my office. Where I can get a bigger one?! Skye is an inspiring woman. Her ability to persevere through the Foster system and succeed in her career is a beautiful story. Transforming the library system from a frail and broken structure to a healthy and financially stable one, is quite remarkable. I will make it a point to meet Skye and thank her for her good works that come from the spirit of her heart. PLEASE BOYCOTT ALL LOS ANGELES COUNTY PUBLIC LIBRARIES! Careless regarding our personal information: If you put a hold our full name will be displayed this was somewhat tolerable but now it is in a public shelf for everyone to grab and memorize plus the librarian's screen is so open that you can see the full address. Scary! Absolutely disrespecting our privacy. You can actually see all logins at close range including our password. I wonder if the 2-second delay before hiding it wonder is indeed intentional. Who audits their work or do their beta testing? They refer you to self-service checkout but then once in a while do an internal DOS attack to harass you courtesy of the taxpayers money paying their ethical hacker training to practice in our taxpayer system. They continue to order all tangible materials and force us to manually memorize due dates hoping for a windfall in junk fees vs automatic returns with virtual libraries. Their reason is we must give all patrons a chance well there is nothing wrong with ordering 10% electronic. They secretly steer you to not self-check-in and disable the paper check-in receipts hoping it will increase the chances of getting lost or damage through the outside boxes hoping for creative revenue. They order all library furniture where you cannot study (no privacy, you can feel the table moving when someone erases, plus some stranger can see what you are studying) vs. some individual private desks You will get an email just to arrive at the specific location and is not there sometimes it is under desks, carts, instead of the designated hold shelf or just missing. No portable scanner I wonder how they order their parts. Most of them just know the basics don't bother with moderate questions. They love to enforce undisclosed library policies without disclosing specific sections, I.e. 6000.1. Maybe our reading comprehension is higher, plus is not the posted in small print under the code of conduct. Junk marketing emails asking for donations. They are aware of Adobe Acrobat and such a near-obsolete HTML security vulnerabilities We cannot eject our USB drives properly which indirectly corrupts our asset. We are forced to return our copies even though there are over 20 of the same copy still in the shelf for one hold. Several errors regarding how it was tagged i.e. wrong title, prefix, etc. So you have to creative of how to use their inferior end-user form's QBE. Hiring a marketing team to nominate you for librarian of the year, then winning for hiring a marketing team is kind of...brilliant? Nice work, John Berry! 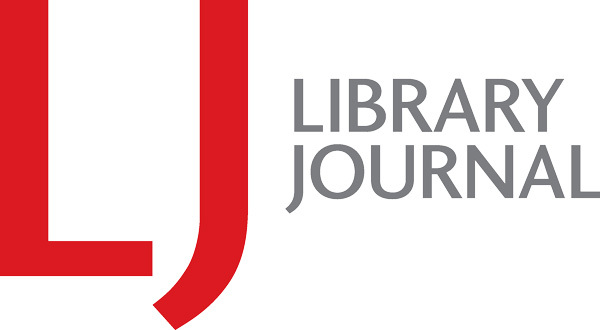 Impressive to realize you were first associated with LJ 55 years ago, and you have covered a lot of library history, burnished a lot of stars, and engaged in a lot of controversy and fresh thinking. Thank you for keeping up a wonderful tradition!